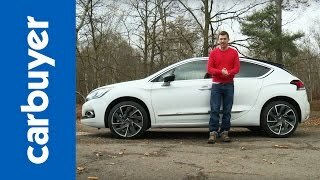 To those who have been staying in link to the automotive world, might know very well about the benchmarks Citroen DS4 2011 created and got further enhanced with the entry of Citroen C4 2015. Well the company doesn’t end the saga here and neither looks like in a mood to wait for next unveil. Yes carrying the DS 4 Crossback Concept ahead, they recently unveiled its two new models; DS 4 2016 and DS 4 Crossback 2016. Model has everything to gain the attention while rolling down the lane and has been well equipped with comfort and connectivity. 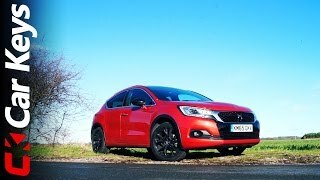 Let us have a look at the review of DS 4 Crossback 2016 to learn more. Talking about the interior of DS 4 Crossback 2016 the first thing to steal your attention will the leather drenched interior, be it seats or the dashboard. Inside you’ll just notice two colors, designed and splattered elegantly, grey and black. Sitting in front of the driver s a four-spoke flat bottom steering wheel, that looks extremely decent. Apart from center console and center stack, everything else (including the gear knob) comes dipped in grey. Though the interior is pretty much similar to the model this replaces but the well designed center stack adds commendably by making the real change through proper arrangement of controls and the large infotainment screen, which add touch of innovation to the arena. Talking about technology, the major change comes through the new inclusion in the infotainment system; it is the Apple CarPlay Support. 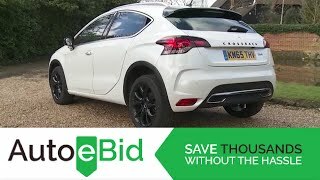 The integration made the interior of DS 4 Crossback 2016 to be the first Citroen vehicle carrying this; sounds interesting!! Isn’t it? The exterior of DS 4 Crossback 2016 is very much like the regular DS 4.The facelift makes it look aggressive while the LED lighting give the touch of aggression while sitting beside the DS wings grille. The Dual tone body and the black wheel arches trim make the model look gorgeous. In total there will be nine body colors and this includes three new inclusions; Tourmaline Orange, Artense Grey and Platinum Grey. 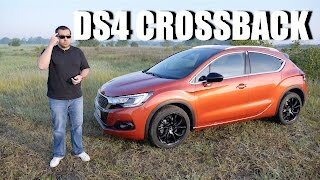 In all rounding up the exterior of DS 4 Crossback 2016 I would say, you might not find it to be an entire overhaul but yes the changes made are undoubtedly a treat to eyes. 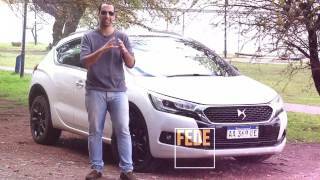 Here we do not have much to talk about, as Citroen didn’t share performance details of DS 4 Crossback 2016 till now. Though the great news is that we managed to bring out the most powerful engine out of the nine powertrains to be offered and it is deliver total output of 177 hp. However for the rest of the details and the displacement and performance figures of DS 4 Crossback 2016 we’ll have to wait a bit till company unveils the information and Detroit and LA Auto Show.